Product DescriptionA day-by-day healthy diet and exercise plan by one of the top names in fitness. Matt Roberts, personal trainer to the stars, has already shown what he can do for readers in the bestselling 90-Day Fitness Plan and Fitness for Life manual. Now Matt Roberts returns with Fat Loss — a day-by-day personalized plan to give readers a leaner, toned body in just eight weeks. 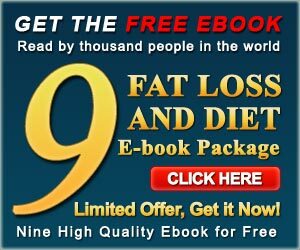 Combing a home-based exercise program with recipes for delicious low-fat meals, Fat Loss guides the reader step-by-step, day-by-day, toward an obtainable goal with sustainable results-a better-looking, better-functioning body, increased energy levels, and a new sense of well-being and self-confidence. I love this book and follow its workout plan faithfully. I have completely ignored the diet proposed by the author, but it looks nutritionally sound. I just don’t diet. His workout suggestions are fantastic!